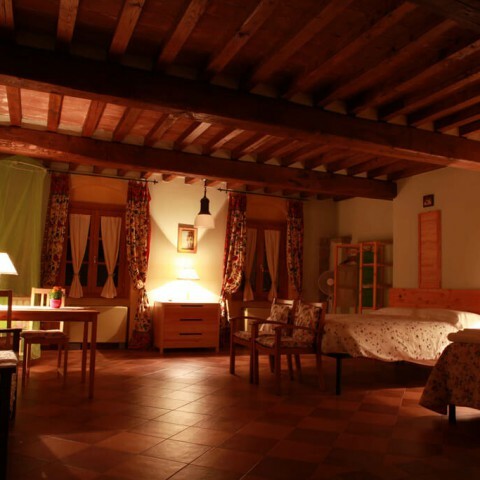 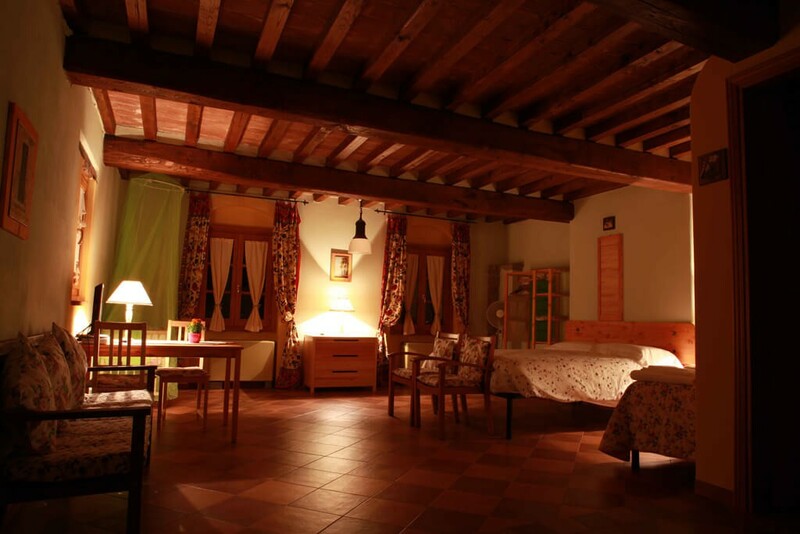 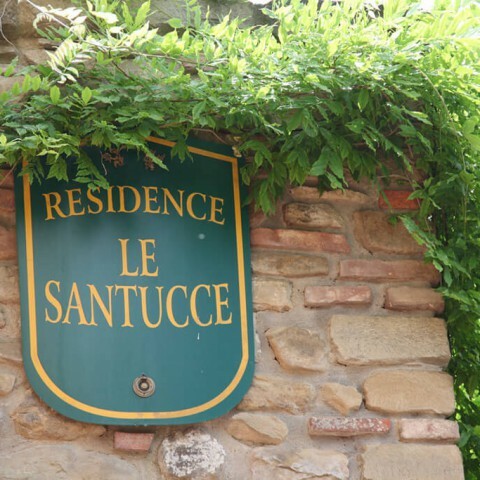 Residence Le Santucce is located in the heart of Castiglion Fiorentino, a medieval village nestled in the hills of the Val di Chiana, in an area rich of history, art and tradition. 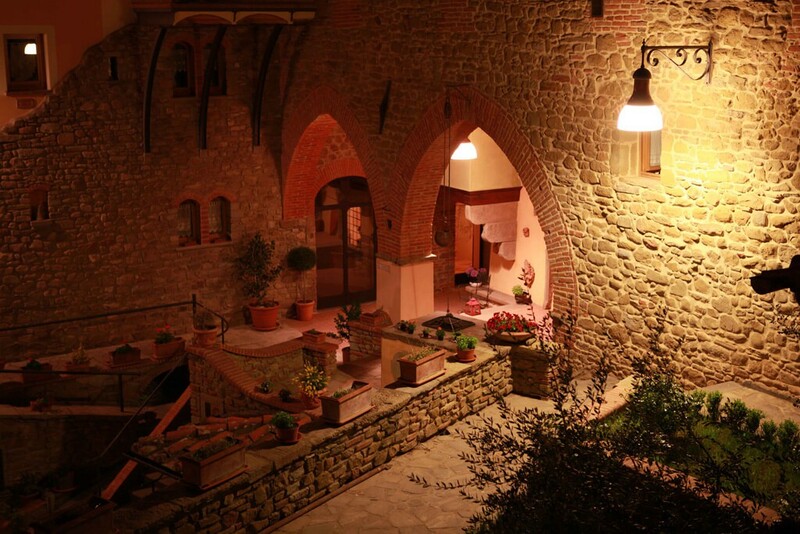 Ancient convent founded in the thirteenth century by the Benedictine Sisters, was recently renovated into a cozy residence that retains all the charm of its history. 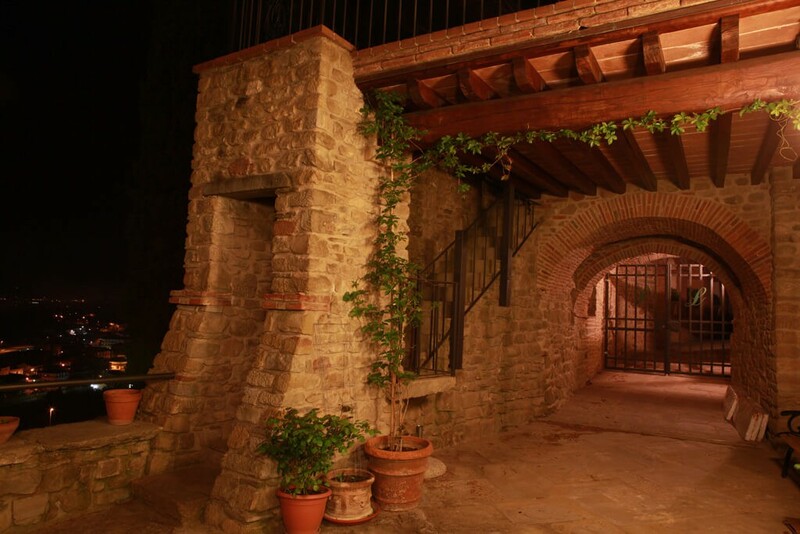 There are numerous vicissitudes that involved the building over the centuries, from the construction of the first group of monks in 1234, of which traces remain in the loggia with pointed arches, until the abolition of the cloistered convent in 1810 and his move to private residences. 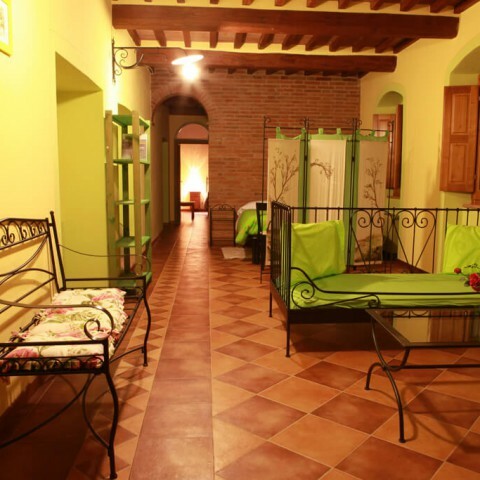 Carefully restored respecting the original features, is now a charming residence with rooms and apartments of various types and sizes that can accommodate up to 40 people, with large terraces from which to enjoy panoramic views of the surrounding valleys. 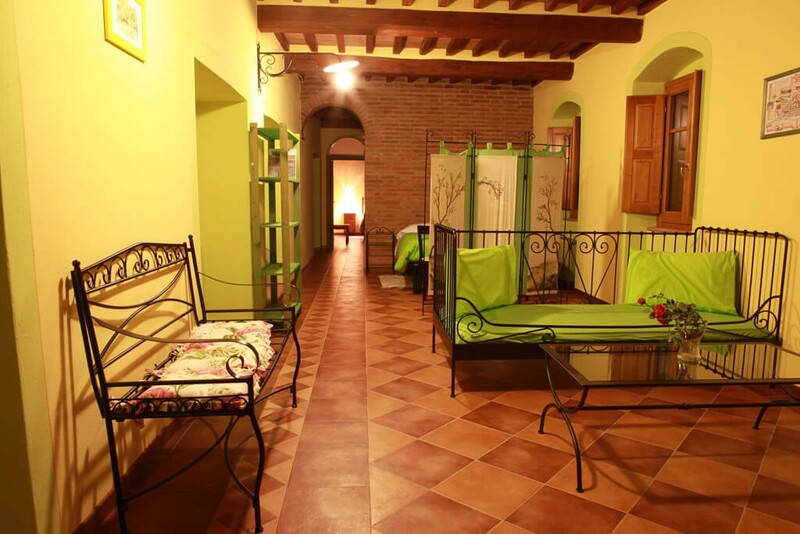 All rooms are decorated in a typical tuscan style and are equipped with all the amenities that will make your holidays unforgettable. 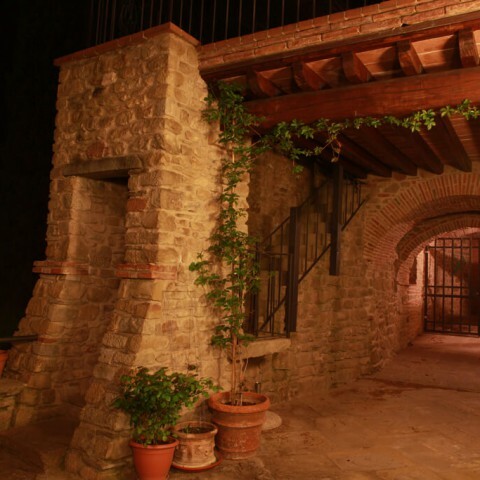 The ideal place to relax in an inviting atmosphere and explore Tuscany, thanks to its privileged position that allow to quickly reach the main cities of central Italy. 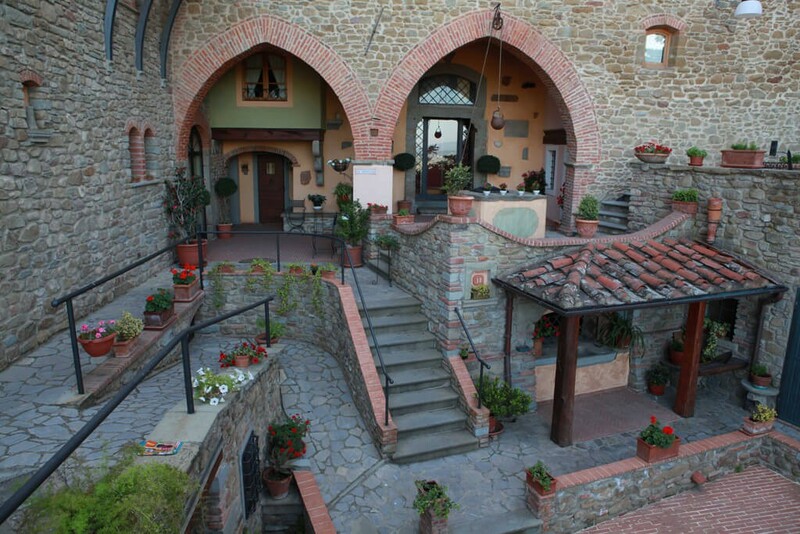 The same town that welcomes guests of the residence, Castiglion Fiorentino, is rich in historical and artistic treasures dated back to the Etruscan times, among which the ancient tower surrounded by ancient medieval walls. 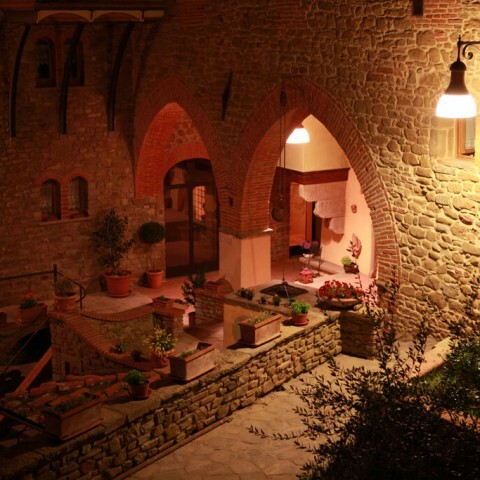 Also in the nearby town of Arezzo, where the first weekend of the month the famous Antique Fair takes place, you can admire works of art of extraordinary beauty, such as the frescoes of Piero della Francesca, preserved in the Basilica of San Francesco and the Crucifix by Cimabue, within the Church of San Domenico. 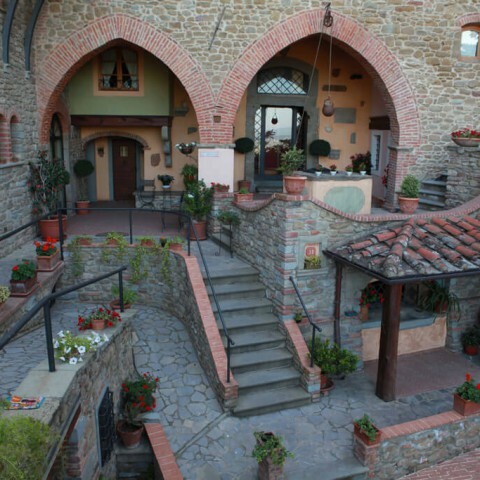 Another interesting town is of course Cortona, one of the most beautiful cities of Tuscany, famous and appreciated all over the world for its historical and artistic beauty and excellent food and wines. 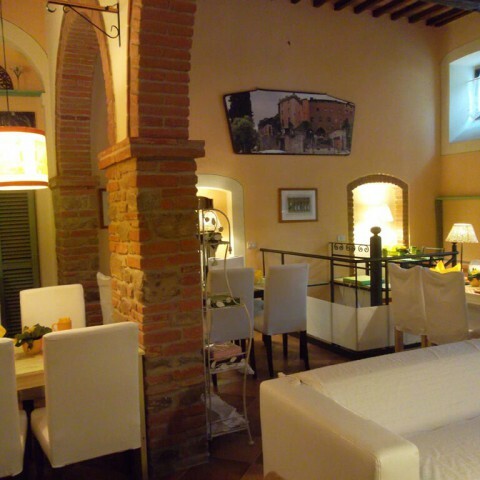 And then Siena and its valleys rich in vineyards and charming medieval villages, the majestic Florence, with its great works of the Renaissance, and Rome, the Eternal City. 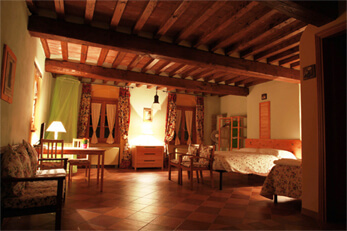 Residence Le Santucce is situated in a strategic position to go every day to discover new cities and their treasures. 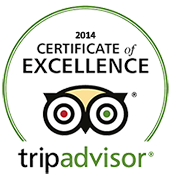 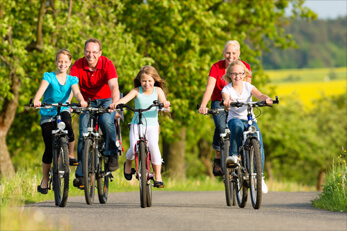 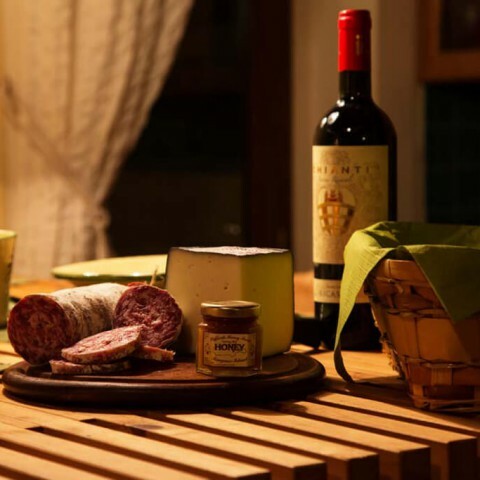 And for the guests who want to fully live the tuscan traditions and nature in tranquility and without moving, cooking classes, painting and ceramics courses, trekking and mountain bike excursions, guided tours to museums and historical places, can be organised. 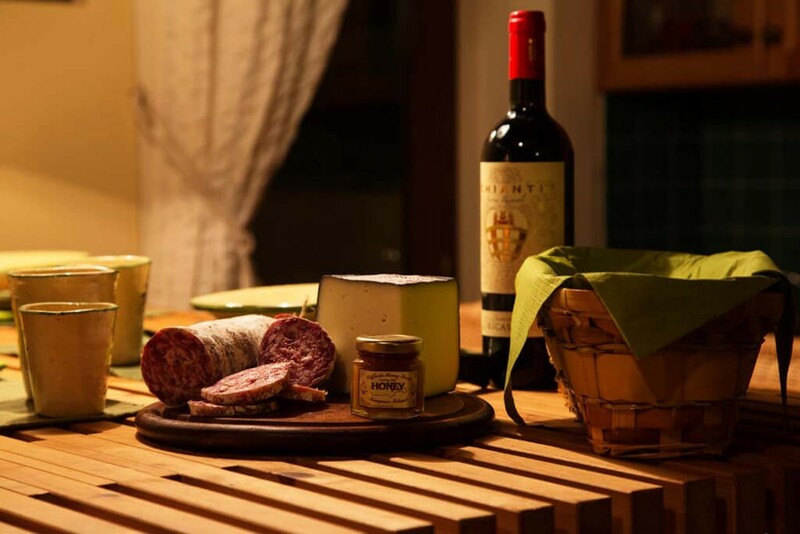 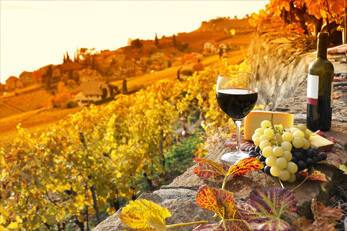 To discover the excellent tuscan food and wine, you can choose between different tours and tastings of wine and extra virgin olive oil, truffles, Chianina beef, pecorino cheese and other delicacies of this land. 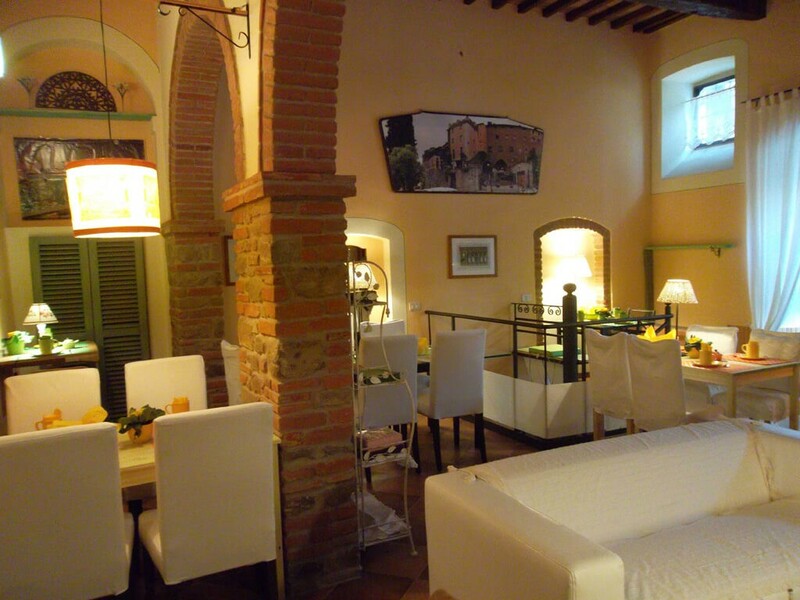 Le Santucce can also be rented for events, workshops, meetings and ceremonies; on request is also available a catering service to taste the famous tuscan specialties, known all over the world. 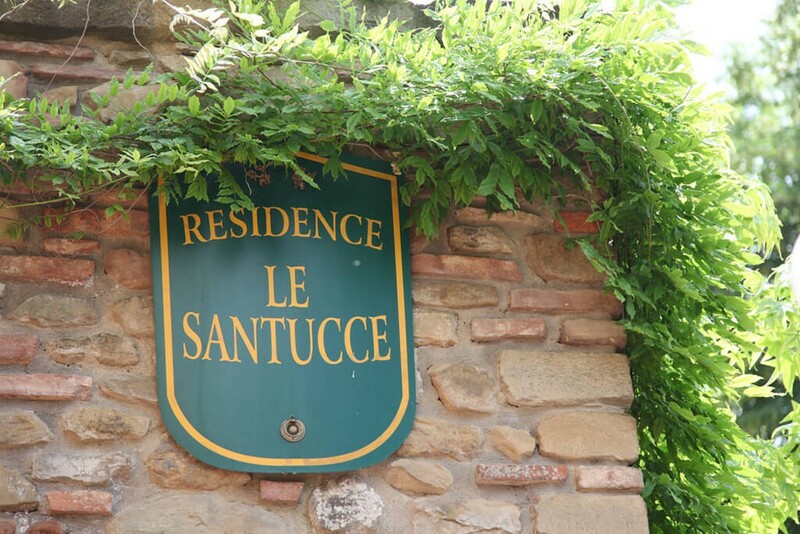 Nature, culture, culinary specialties and art make a stay at the Residence Le Santucce an unforgettable experience for those who want to explore and discover Tuscany and its beautiful scenery.